One of South Florida’s most recognized culinary faces, Adrianne Calvo, known to her friends and followers simply as “Chef Adrianne,” is closing out an epic 2015. As the year comes to an end, Chef Adrianne will do her rounds for the charitable organizations she generously supports. 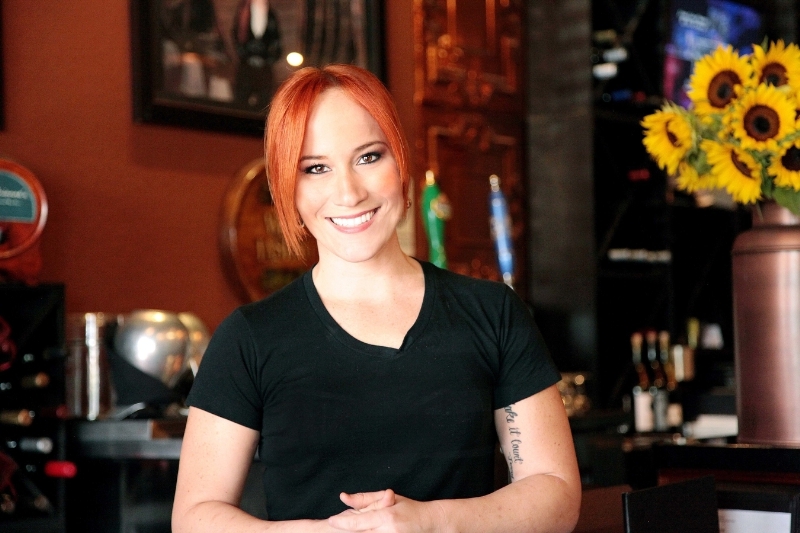 She will remain open for loyal patrons of her signature Miami restaurant, Chef Adrianne’s Vineyard Restaurant and Wine Bar, this month, into the New Year, where she will host her 8th Annual Maximum Flavor NYE. Not a surprise, as in the last few months, she has been positioned as a “Headliner or Featured Chef” in over 10 major culinary events. From the renowned “Taste of the Nation” to “Flipany” and “Festival of Chefs” for Easter Seals, Chef Adrianne Calvo has run the gamut. From being a judge in Aspen at the #Cochon555 during the #FoodandWine Classic alongside Andrew Zimmern, to her being the very first Grand Marshal in the history of the Leukemia & Lymphoma’s “Light the Night” National Walk this month, and being appointed as the Culinary Ambassador of Baptist Hospital, fans have seen her all over spreading her uniquely contagious message to “Make it Count” (the name of her charitable foundation). She’s globetrotted, yet managed not to skip a beat. This year, Chef Adrianne’s stacked a number of accolades including, 10 Most Important Restaurants in Miami, 14 most romantic restaurants, 17 Most Influential Restaurants, and Made the list of Thrillist’s 50 Things to Eat Before You Die. With a growing fan base both locally in Miami, and nationally, it’s easy to see her reach. For those wanting to “see” for themselves, she’s a click away, always active on social media (hence the name of her recent book, #MaximumFlavorSocial). She openly shares her personal journey and passion for amazing food, spirits, and life through pictures.